Value based drafting can be an extremely useful metric when analyzing trends in previous fantasy football seasons for future use. For example, it could be used to gauge whether going RB heavy last year (as many suggested) really was a good strategy or if this line of thought was flawed. This metric essentially compares each players point total to the point total of a baseline player for each position by subtracting the baseline players point total from each players point total. When using value based drafting the most important factor is the method used to pick the baseline player at each position. This article chooses its baseline players as explained in this article. Essentially the baseline player for each position is set to be the average number of players drafted at that position in the first 10 rounds of the fantasy football draft. For example, if last year on average in a 10 team league 40 running backs were drafted in the first 10 rounds then the baseline would be set to 40. The baselines used for this example are based on 12 team leagues and on average: 17 QB's, 43 RB's, 40 WR's, 12 TE's, 6 DEF's, and 2 K's were drafted in the first 10 rounds of a 12 team draft thus the baselines were set at 17, 43, 40 and 12 respectively (DEF's and K's were neglected). 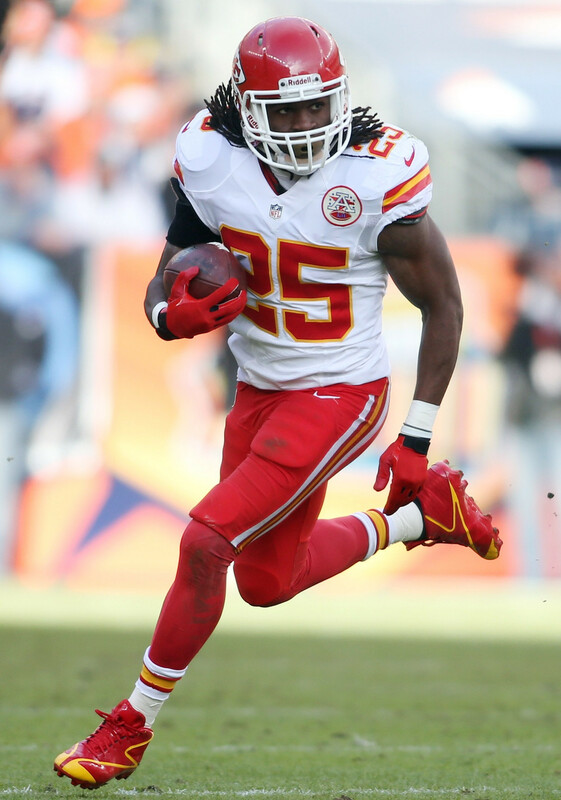 The most noteworthy thing to point out from the value based drafting results for the 2013 fantasy football season is that Jamaal Charles was the highest VBD point scorer with 215 VBD points outscoring LeSean McCoy by 33 points. He also edged out Peyton Manning by 34 points even in Peyton's record setting season that included 55 passing touchdowns. The quarterback position drops off very quickly after Peyton and Drew Brees which shows that although quarterbacks score a lot of points because they all score a lot of points they are often not as valuable as other positions such as running back. Running backs and wide receivers both drop off much more slowly although running backs begin to drop off at an accelerated rate as they near the baseline. Jimmy Graham managed to dominate the tight end value based drafting points as expected nearly doubling the amount of points earned by number two scorer, Vernon Davis. This shows that an early TE can be valuable but typically only a pick on either Jimmy Graham or Ron Gronkowski (if you are willing to take a risk) will yield value early on in the draft. Also the tight end position drops off quickly after the top 6 tight ends so it is typically best not to end up with the last tight end. Value based drafting numbers from the 2012 season can be seen HERE. All of the value based drafting results can be seen below based on 12 team standard scoring ESPN leagues. You can compare any two position tables by clicking on the table headers.